The most awesome finishers medals east of the Mississippi! 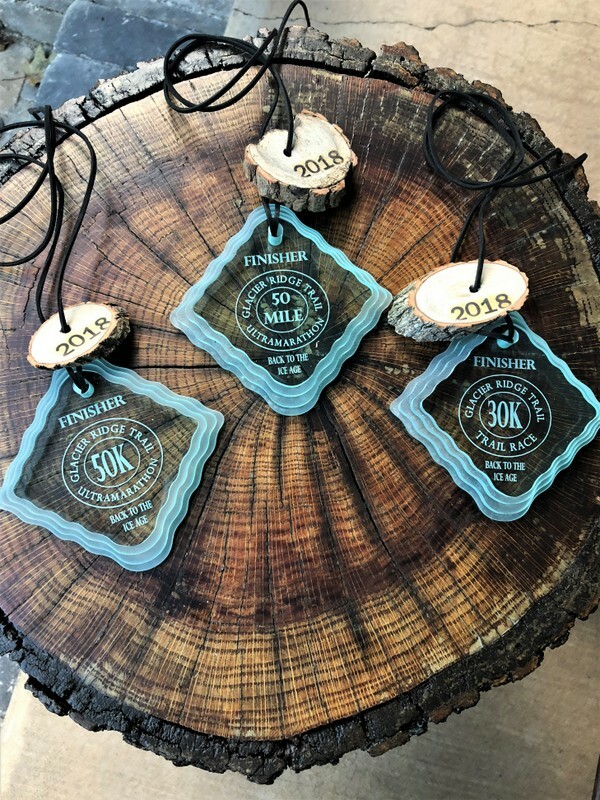 Beautiful “iceberg” trophies go to 1st, 2nd, and 3rd place finishers (male and female) in each race distance, including a trophy to EACH team member of the 1st place 50-Mile Relay team. All 50Milers receive a ¼ zip technical long-sleeved run shirt. All 50K’ers receive a technical long-sleeved shirt. All 30K’ers receive a technical short-sleeved shirt. All 50 Mile Relay Team members receive a technical short sleeved shirt. Runners must register before April 12, 2019 to guarantee race shirt. A pre-race dinner will be held the night before the race. The dinner can be purchased for $5 per adult (children free) at the time of registration. Limited additional dinners can be purchased at packet pickup. Best of all, running on the coolest trails with the most awesome folks!